Duke University Press, 2015, 264 pages. 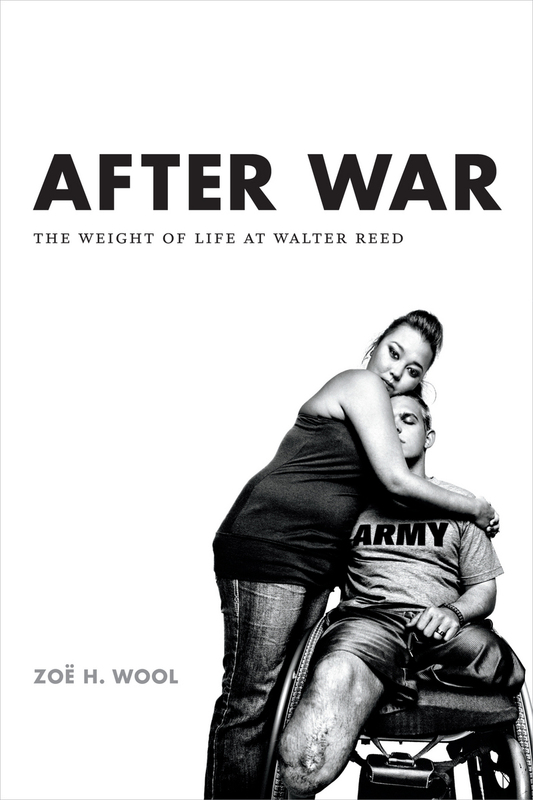 In After War: The Weight of Life At Walter Reed, Zoë Wool shares her experience working with some of the most grievously wounded veterans of the wars in Iraq and Afghanistan. During a year of research from 2007-2008, Wool conducted fieldwork with amputees recovering at Walter Reed Medical Center, the military hospital complex that has become emblematic of the post-war experience of American combat wounded service members. Before she embarks on her ethnographic portrait of life at Walter Reed Army Medical Center, Wool makes explicit some important characteristics of the people and environment she describes, which are vital to understanding the context of her project. First, she notes that the overwhelming majority of her participants are male. Current critical military scholars are careful to avoid the homogenizing of the diverse uniformed members of the military as “men.” However, Wool acknowledges that the maleness of the demographic she was working with is omnipresent and the theme of normative masculinity it produces becomes central to this narrative. Wool is also clear that the experience of a decade’s worth of combat wounded veterans is quite diverse. The ratio of troops serving in either Iraq or Afghanistan shifted throughout the war, as did the prevalence of certain types of combat injury (gunshot wounds versus blast injuries from roadside bombs). Thus, there was a similarity of experience that profoundly shaped the narrative of the people whose lives are captured in this book, the overwhelming majority of whom served in Iraq and were wounded by explosions that resulted in lower extremity amputations.